If you drive along the Mid-land Highway in late October and early November this year you will notice a bright mauve shrub growing on the Strathbogie Ranges side near Lake Nillacootie. 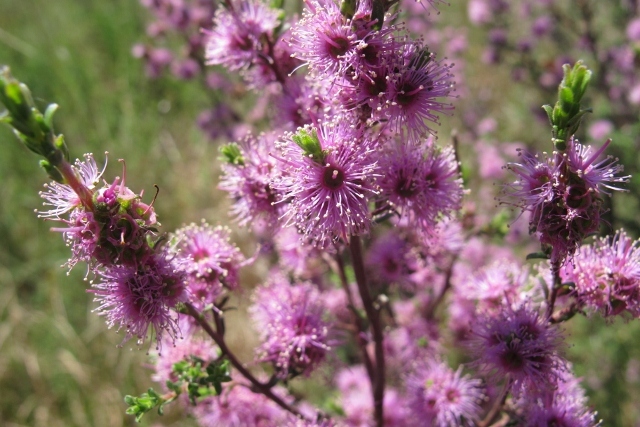 This slender wiry shrub resembling tea-tree is called Violet Kunzea, Kunzea parviflolia. Normally you would hardy notice it but right now it is covered in masses of pink – violet rounded flower heads. This shrub favours rocky east facing slopes at moderate elevations especially near seepage areas. 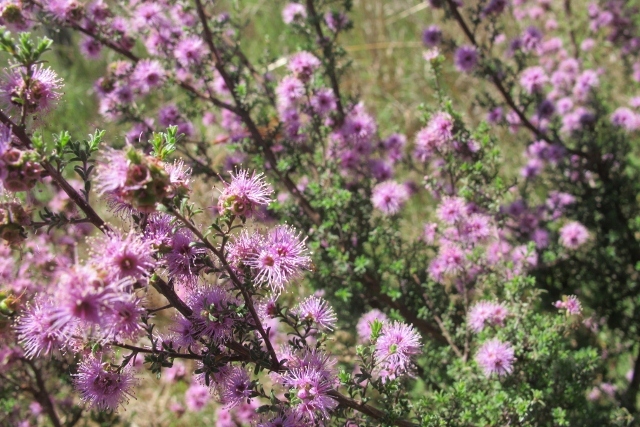 Purple Kunzea can also be found in scattered location across the northern Strathbogie Ranges. At Mt Wombat you can see it on the rock shelves below the summit. This attractive plant deserves a place in local gardens. Previous Previous post: Koala love – its for the birds.